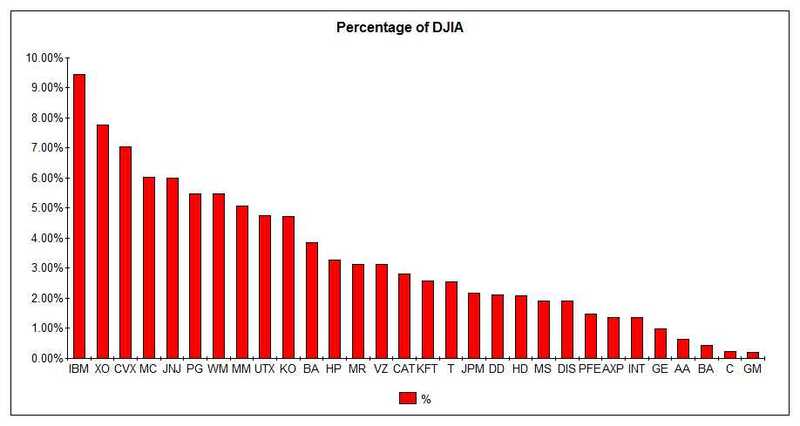 If you are invested in a fund that follows the Dow Jones Industrial Average (DJIA) the chart on the left shows the percentage allocation you had on February 23, 2009 by index component. You may think you are diversified, which is true, but you are by no means balanced. 10% of your investment is in IBM shares and less than 1% is in GM. Although you may be thankful for the latter it makes the point that you are not balanced at all. 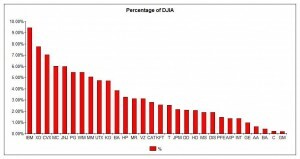 This has to do with the way the DJIA is calculated. 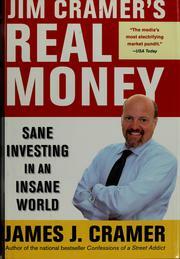 Diversification is all you hear from Cramer to Orman to your local financial adviser. The indexes, major indicators, or SMIS (Security Market Indicator Series) like the Dow Jones Industrial Average (DJIA) or S&P500 are a sure way to diversify since buying into them means buying 30 or 500 companies from technology to financials to automotive (good luck with the last two). That is fundamentally correct. However, the way the index is calculated is the trick, especially in times of turmoil like the present.